The Patriots won the Super Bowl because they had more Angels on the field which was my expert observation. As an Expert Witness for Retail liability cases, assisting Liability Attorney's across the country, I have trained my eye to observe. So what did I take away from the Super Bowl? I learned that things happen fast. Accidents in Stores occur in a flash and in either of the above cases, Video is the best reference to determine the Who, What, Where, When, and Why. 1. Who-Patriots, 2, What-Ball is in Edelman's hands, 3. Where-Ball is not on the ground so it remains alive, therefore ruled a fair catch. Unlike football, customers do not wear helmets, padding, or other protective devices to keep them from receiving significant injury should they slip, trip, or engage with product while shopping. It is the job of the Expert Witness to evaluate the rules, protocol, procedures of the retailer in which an accident occurred and make an important determination. Through the use of reviewing store surveillance video, I have found that the answer is usually obvious. The question being did the retailer take every precaution, within reason, to provide a safe shopping venue for their guest customers. The answer is revealed on video when a customer takes an inappropriate action while shopping or the store allowed a hazardous condition to remain unresolved beyond an industry standard of time. 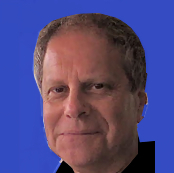 Jerry Birnbach is a 35 year veteran in the Retail Industry for all venues of Retail and Product Vendors, Product Showrooms, Display Design and manufacturing able to determine the cause and effect leading to accidents occurring inside and outside of stores.